Know more about Google Adsense!! What is CPC, CTR, RPM, Clicks and Impressions ?? 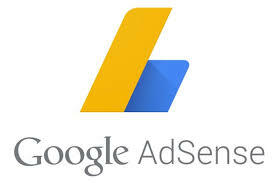 HomeGoogle AdsenseKnow more about Google Adsense!! What is CPC, CTR, RPM, Clicks and Impressions ?? Hello, friends welcome on my blog. As you know my name is Bhanu Saini. Today I am back with a new post In which I will tell you a lot about Google Adsense such as CPC, CTR, Clicks, and Impressions. after reading this post carefully you will be able to know What is CPC, CTR, RPM, Clicks, and Impressions ?? So please read this post carefully and if you like this post then share this with your friends and follow me for further interesting posts. And if you are a blogger then you can earn some revenue bu running Google ads on your blog. This is the best way to earn money online. Google AdSense is a company of Google and the most trusted way to generate Ads on your blog. So when you create a blog then you have to take Google AdSense approval which is very tough because now Google AdSense policies are now strict. So If you are a new blogger and you want to earn some revenue than you are at the correct place. Also, read - Top tips for Quick Google AdSense approval !! 1. What revenue share I will get? 3. What are page CTR and best CTR % for secure your account? 4. What is the minimum threshold? 5. What are Clicks and impressions? These are some frequently asked questions by the users. I will try to give the best answers to my visitors. So be with me and keep reading carefully. When your blog is approved by Google AdSense then you can start your earning and ads are displayed on your ad widget. The revenue share of Google is the best share than other ad networks. The revenue share of Google is - 68% publisher revenue. Google AdSense is considered the best ad network because its revenue share is best. The full form of CPC is Cost per click. Whenever any visitor come on your blog and after that he clicks on an ad than the publisher gets some revenue and that revenue generated by this click is called its CPC. The CPC is decided by advertiser and ad network. After watching some videos I found that after blocking low CPC ads and allowing high CPC ads the CPC can be attained but this is wrong and please don't try this. The full form of CTR is click through rate. This is the ratio of the number of clicks attained by a publisher to the total number of page views. So let's consider that if a blog has 100 page views and 5 clicks than his page CTR will be 5%. Now the question arises is that what is the best CTR to secure your Google AdSense account? The answer is that below 10% page CTR is best this means if your page views are 100 then your clicks must be below 10. Also, read - How to secure your AdSense account? When any user visits your website then he will see ads and this is called impression of an ad. If the user is interested and clicks on your ad and then it will be a click and the user will be redirected to advertiser's page and the publisher will earn some revenue.